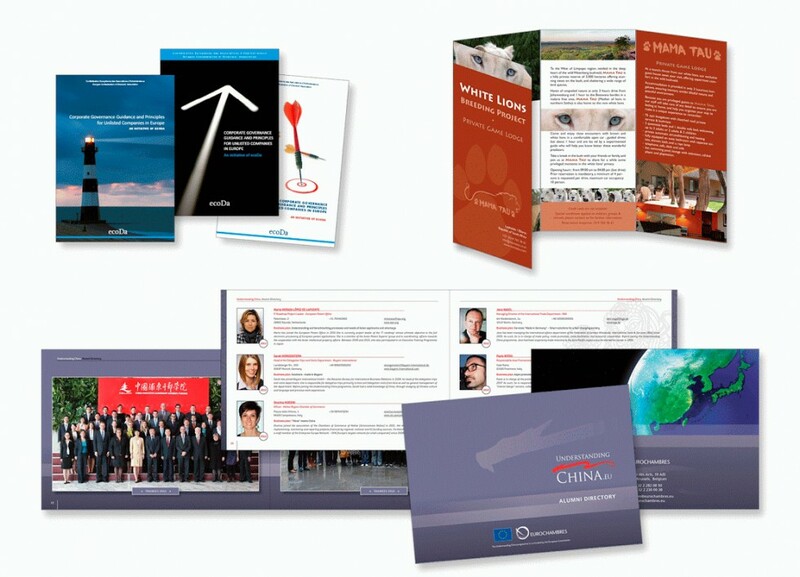 Brochures pour The European Confederation of Directors Associations. The European Confederation of Directors’ Associations (ecoDa)is a not-for-profit association founded in December 2004. Its objective is to represent the views of company directors from EU member states to corporate governance policy-makers at EU level. Dépliant pour un parc animalier en Afrique du Sud. Enjoy some privileged moments with our white lions in a private 3.000 hectares game reserve, nestled in the deep heart of Waterberg. Wildlife and unspoiled nature await you for a restful break away from civilization, for an unforgettable experience of the bushveld. Plaquette pour la chambre de commerce Eurochambres (the Association of European Chambers of Commerce and Industry).